The School of Music uses the 524 seat concert hall as its main concert venue for large ensemble performances, full-scale opera productions, faculty recitals, and guest artist appearances. For an extra charge, an additional three rows of seating (42 seats) may be added in front of the stage. 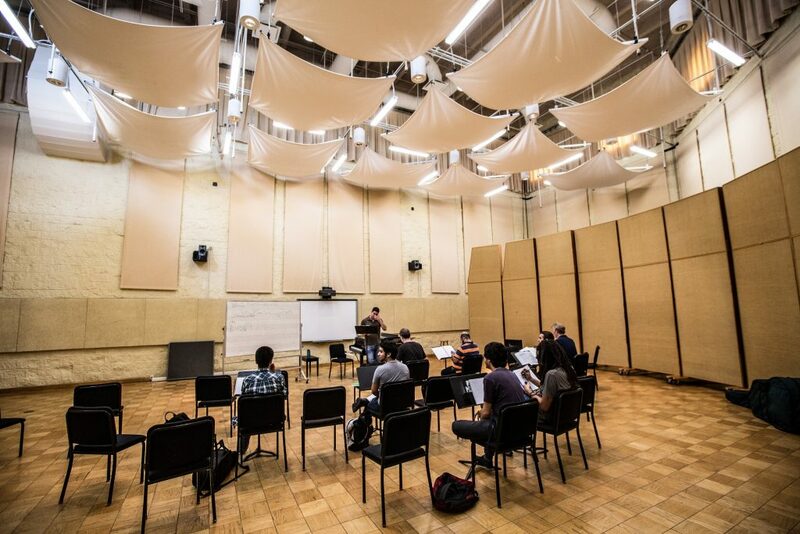 Most of the School’s faculty and student ensembles present concerts each year including FIU’s Ensemble-in-Residence the Amernet String Quartet, the FIU Symphony Orchestra, the FIU Wind Ensemble, various jazz ensembles, and large choral ensembles. It is professionally equipped with a 40-foot retractable screen, a Panasonic projection system, exceptional acoustics, and state-of-the-art lighting. The Sydell Ida Wertheim Organ is the spotlight of the performing arts center. 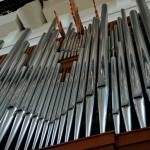 The prestigious 125 year old Schantz Organ Company took nearly a year to build the 26-ton organ that is the largest in Miami-Dade County and one of the most technologically advanced in the country. It features a solid-oak console with four manual keyboards and a pedal clavier that controls its 4,255 pipes. Just as the Herbert and Nicole Wertheim Performing Arts Center was made possible through the generosity of Herbert and Nicole Wertheim, so has their kindness made FIU the recipient of this exceptional instrument. In gratitude, the university dedicated the concert organ to the memory of Dr. Herbert Wertheim’s mother, Sydell Ida Wertheim, who passed away in 1997. 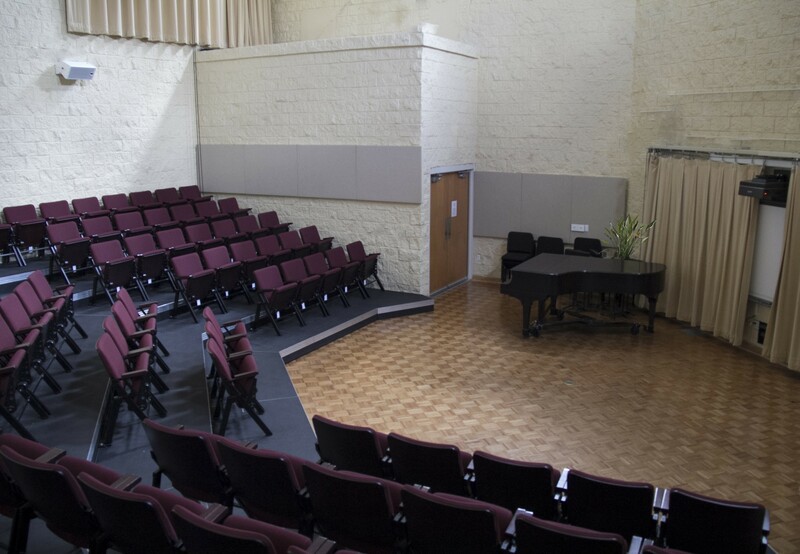 The instrumental hall provides an educational space for events including festivals, forums, lectures, and master classes. It has hosted many famed guest artists, the FIU Festival of Bands, Arts@FIU Day, and a variety of other outreach programs. The recital hall is the ideal space for student recitals, lectures, luncheons, small ceremonies, and rehearsals. The hall accommodates 80 guests and is equipped with warm lighting, high ceilings, and outstanding acoustics. The 200 seat Main Stage Theatre is a Broadway inspired space perfectly suited for theatrical productions, dance performances, lectures, workshops, and special events. The theatre is equipped with professional grade lighting and sound systems, an orchestra pit, a fly rail system, and a full set of stage curtains. The Black Box Theatre is a flexible space that can be set up in a variety of configurations to fit up to 146 seats. With removable seating, adaptable wing space, and suspension grid, this versatile space can accommodate almost event! Our theatres are available for rental. Contact Judy Litt for availability and rates at 305-348-0548 or ilittpin@fiu.edu.